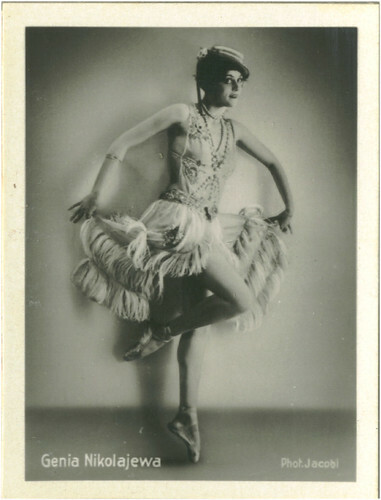 Russian-born ballet dancer and actress Genia Nikolaieva (1904–2001) worked in the Germany cinema during the 1930s. In 1938 she emigrated to the United States, where she became ‘one of the most beautiful studio secretaries for Warner Bros.
German postcard by Gabor Hirsch, Frankfurt. Photo: Gabor Hirsch. Collection: Didier Hanson. This card was in Nikolaieva's suitcase full of personal documents, including her passport. After her death, her friend and will curator sold it to Didier. German postcard by Ross Verlag, no. 7317/1, 1932-1933. Photo: Atelier Marion, Berlin. Collection: Didier Hanson. Genia Nikolaieva was born in St Petersburg, Russia in 1904. Her name is also written as Genia Nikolajeva, Eugenia Nikolajewa or Genia Nikolaiewa. Her parents moved to Berlin where she took ballet lessons. 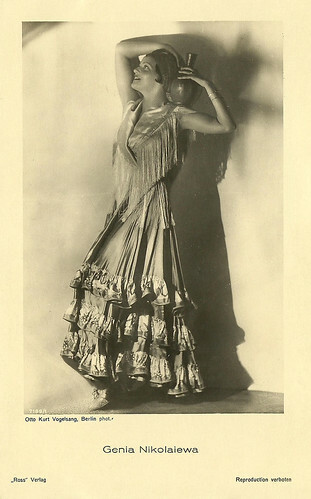 In 1920 she had her first professional dance performance. 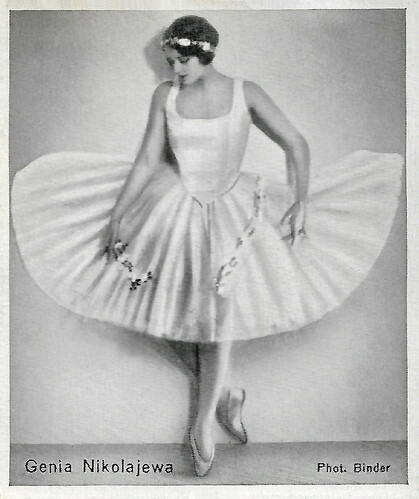 She continued her dance career at the Stadttheater Königsberg and she danced in the ensemble of Ernst Matráy, and with his company she gave guest performances in England and South America. She became one of the soloists at the Deutschen Staatsoper ballet (German State Opera Ballet) in Berlin. In 1930 she and five other soloists were dismissed by the director of ballet, the innovative choreographer and dance theoretic Rudolf von Laban, because they belonged to the ‘ballet camp’ and not to his ‘modern dance’ camp. The dismissed dancers, the ’State Opera Six’, generated much publicity in the press. They successfully appeared at dance evenings and variety shows with their popular and well-established repertoire. Nikolaieva also started a film career. Her film debut was in Zwei Krawatten/Two Neckties (Felix Basch, Richard Weichert, 1930) starring Olga Tschechova. 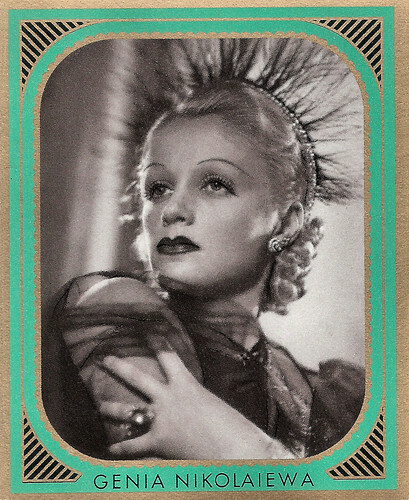 She appeared in the slapstick comedy Schuetzenfest in Schilda/Festival of Riflemen in Schilda (Adolf Trotz, 1931) starring Siegfried Arno (aka Sig Arno). She played in another comedy Ein Toller Einfall/A Mad Idea (Kurt Gerron, 1932) which featured comic actor Max Adelbert and Willy Fritsch. She also had small parts in the crime drama Schuss im Morgengrauen/A Shot at Dawn (Alfred Zeisler, 1932) with Ery Bos, and the stylish farce Quick (Robert Siodmak, 1932) with Hans Albers and Lilian Harvey. In Das häßliche Mädchen/The ugly girl (Hermann Kosterlitz a.k.a. 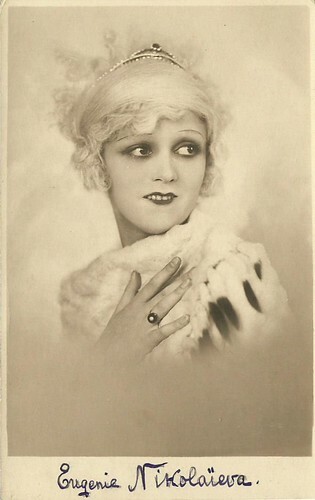 Henry Koster, 1933) she appeared with Dolly Haas and Max Hansen. It was the last film that Henry Koster directed in Berlin before having to leave due to Nazis. He left Berlin, having knocked out an SS officer, one day before filming was finished on the film. The Nazis removed his name from the credits and substituted the name of Hasse Preiss, the lyricist. German postcard by Ross Verlag, no. 141/5, 1931-1932. Photo: Ufa. Publicity still for Quick (Robert Siodmak, 1931) in which Hans Albers played the title role. From 1933 on, Genia Nikolaieva found it difficult to continue working under the new Nazi regime because of the now asked Aryan certificate. Propaganda minister Joseph Goebbels spoke up for her and pinned the half-Jewess officially as ‘northern’. She played the female lead in 90 Minuten Aufenthalt/90 Minutes Stop (Harry Piel, 1934) starring Harry Piel, but mostly she played supporting parts such as in the comedies Das Einmaleins der Liebe/Love's Arithmetic (Carl Hoffmann) with Luise Ullrich, and Ein Ganzer Kerl/A Regular Fellow (Carl Boese, 1936) with Hermann Speelmans en Lien Deyers. She also appeared with the Swedish comedy team of Fy og Bi aka Pat & Patachon in the goofy comedy Blinde Passagiere/Stowaways (Fred Sauer, 1937). Her final European films were Meine Frau, die Perle/My Wife – the Pearl (Alwin Elling, 1937) with Ralph Arthur Roberts, and Unentschuldigte Stunde/The Unexcused Hour (E.W. Emo, 1937) with Hans Moser. In 1938 she emigrated to the United States. In Hollywood she only appeared in small parts in three films: Ride a Crooked Mile (Alfred E. Green, 1938), Adventure in Diamonds (George Fitzmaurice, 1940) with Isa Miranda, and The Lady Has Plans (Sidney Lanfield, 1942). 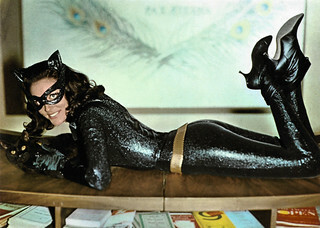 IMDb writes that she then became ‘one of the most beautiful studio secretaries for Warner Bros’. Genia Nikolaieva died in 2001 in Los Angeles, US. She was 97. 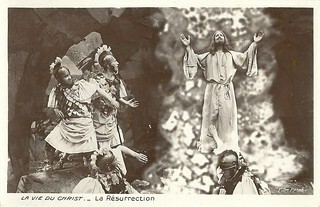 German collectors card by Eckstein, no. 157. Photo: Jacobi. Collection: Manuel Palomino Arjona (Performing Arts). German collectors card by Eckstein-Halpaus, Dresden, Gruppe 4, no. 159. Photo: Alex Binder. 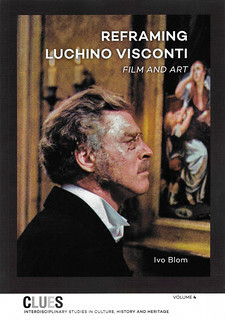 German collectors card in the Bunte Filmbilder series by Greiling-Zigaretten, Series no. 2, no. 358. Photo: Ufa / Ross Verlag. Sources: Thomas Staedeli (Cyranos), Hal Erickson (AllMovie), Lilian Karina & Marion Kant (Hitler’s Dancers) and IMDb.